Malanico gives away Katz Menu and Euro Premium to charity! Since World Animal Day is here again, we are giving away food and snacks via “Food Bank Dalfsen” to all the pets of their clients. Food bank Dalfsen helps the residents of the municipality Dalfsen who, due to financial problems, are unable to buy sufficient food for themselves or their families. We have prepared a package for the various pets of the clients – cats, dogs, parrots, and rabbits – full of food and snacks. For the dog and cat food, we have chosen Katz Menu and Euro Premium, both dry food of the best quality. Now, the clients of the food bank Dalfsen can give their pet a little extra on World Animal Day too. New name for Mol diervoeding: Malanico! The name Mol diervoeding has been changed per September 5 to Malanico. The growth, internationalisation and future vision are the cause for the change of the company name to Malanico. The name Malanico reflects the current modern character and our presence as a big player on the domestic and international market of distribution in the pet industry. Since last month, we have been providing service to a large retail organisation, using crossdocking to deliver folder products. The retail organisation has over 100 independent stores who distribute this folder monthly. The various suppliers deliver all the products to our warehouse in Nieuwleusen, where they are combined into one order and delivered to the retailers. 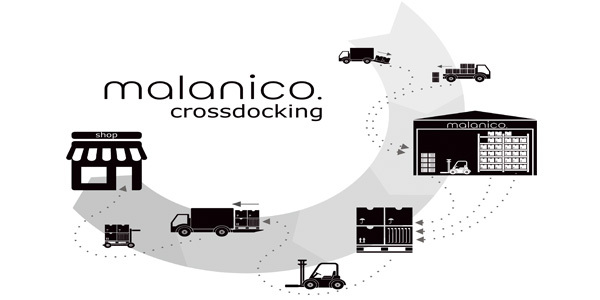 Order processing, order picking, and distribution are all fully taken care of by Malanico. This allows the stores and the retail organisation to focus on their core business. 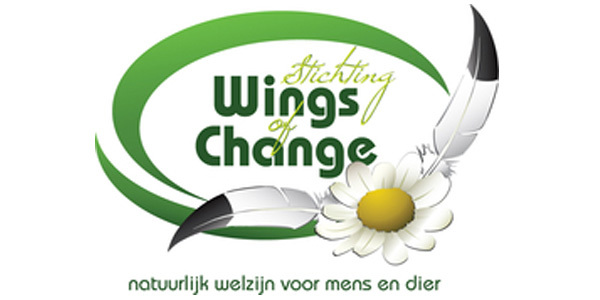 The third charity that we will support in 2016 is Wings of Change. This foundation commits to supporting those people who fall through the cracks of present-day society, with its many budget cuts. The foundation offers many activities and work for the clients. This work includes, for example, looking after the horses, maintenance of the vegetable garden, and looking after and training birds of prey and owls. The treatment using birds of prey is unique in the Netherlands. 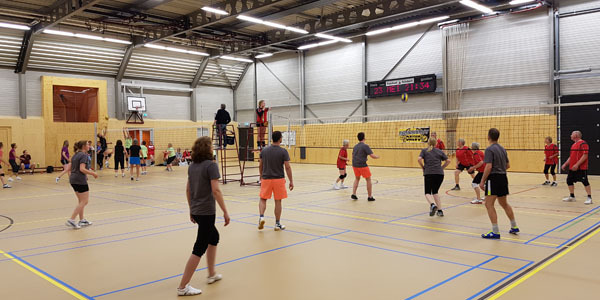 This year marked the 56th time that Dalvo organised the company volleyball tournament. The employees of Mol diervoeding also took part in this fun and sporting tournament. Due to many applications, we even entered 2 teams this year. After last year’s championship and following promotion to the highest division, this year would prove to be a challenge for team 1. The results were rather surprising, as last year’s promotion did not stop us from becoming the champion this year too! Overall, we have had many sporting and fun evenings where we really worked together as a team! As mentioned before, Mol diervoeding will support multiple charities in 2016. 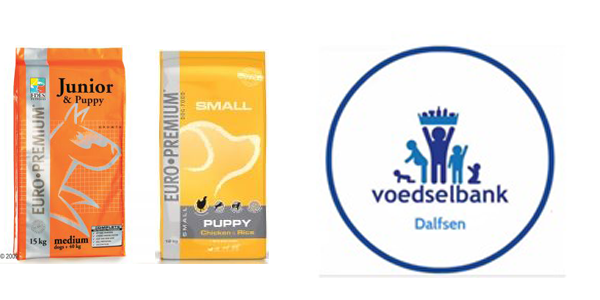 Last time, we chose to sponsor Care Farm Molenzicht and this time we chose animal shelter Koningen in Balkbrug. The animal shelter accommodates dogs and cats, both strays as well as pets who can no longer stay with their owner for whatever reason. They provide the animals with a new and stable home, cooperate with a number of host families, and they have a large group of volunteers. 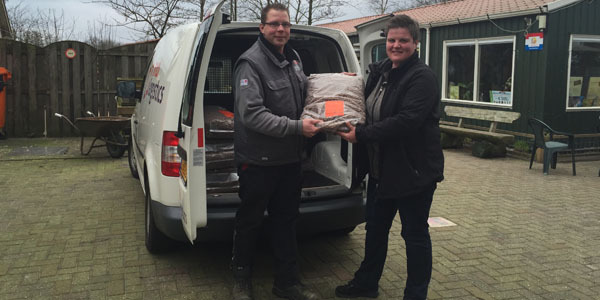 We visited animal shelter Koningen last week and sponsored them with 200 kilos of dog food, which they appreciated very much! Since we feel socially responsible, we have decided to support multiple charities in 2016, either through products or through a sum. 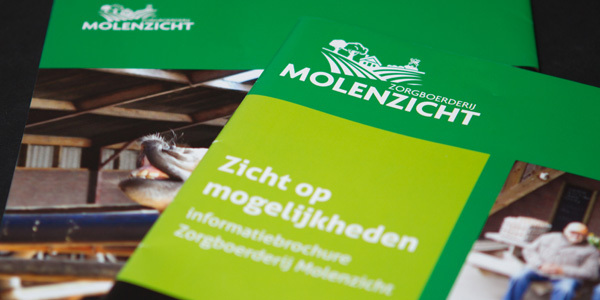 The first charity for the upcoming year that we supported with a sum is Care Farm Molenzicht in Zwolle. 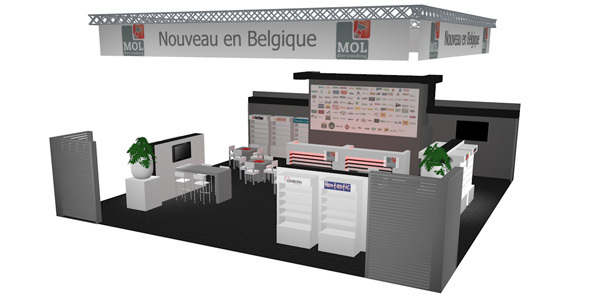 Last Sunday and Monday, we have presented Mol diervoeding on the Anido in Kortrijk for the Belgian market. With our large, fancy and professional stand, we had a good spot at the centre of the trade fair. 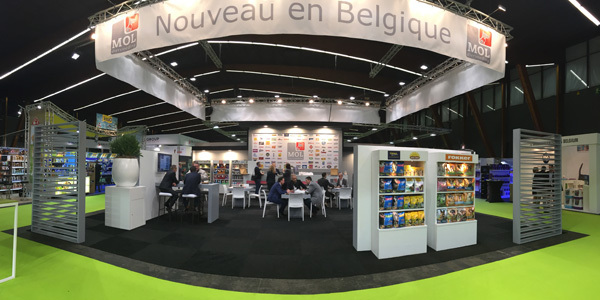 There were many interested visitors and we received multiple positive reactions regarding Mol diervoeding as newcomer on the Belgium market. Together with the representatives of the brands who shared the stand with us, we have enthusiastically and professionally addressed all the visitors, some of whom had already read about us in the Pet & Garden Pro or on our website. The eye catcher of our stand was the Wall of Fame, the wall behind the bar showcasing 140 of our brands and which attracted almost every visitor. Thanks in part to all the visitors and our suppliers for making this a very successful trade fair participation! 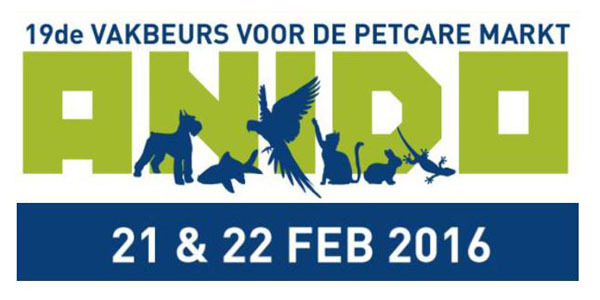 Anido is the most important trade fair for the Pet Care industry in the Benelux and northern France. 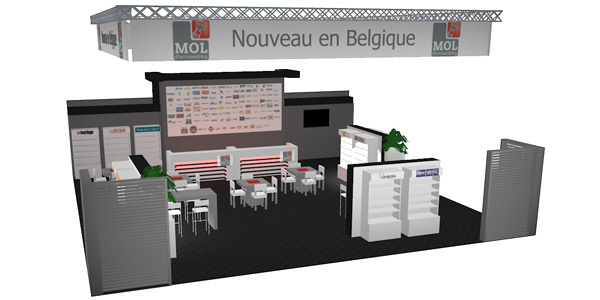 On February 21 and 22, Mol diervoeding will be present at this fair in Kortrijk XPo. This will mark the first year that Mol diervoeding will be present with a stand at the Anido fair. 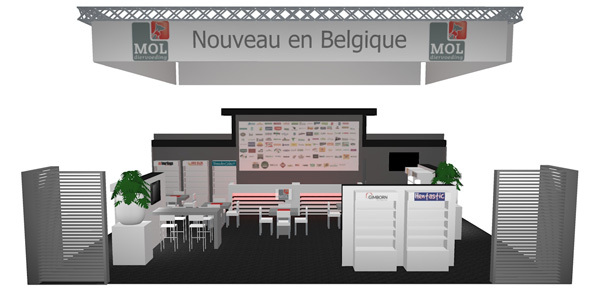 We will surprise you with a completely new stand which tells you in a glance who Mol diervoeding is and what services we have on offer. We hope to see you at our stand on the Anido trade fair 2016! Register for free! View our new stand below, designed especially for us by Dutch Event House for the Anido fair. 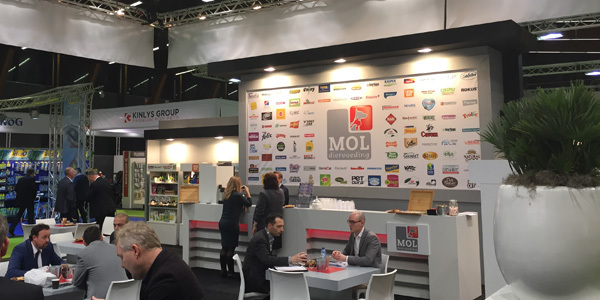 Starting 1 January 2016, Mol diervoeding will also enter the Belgian market. 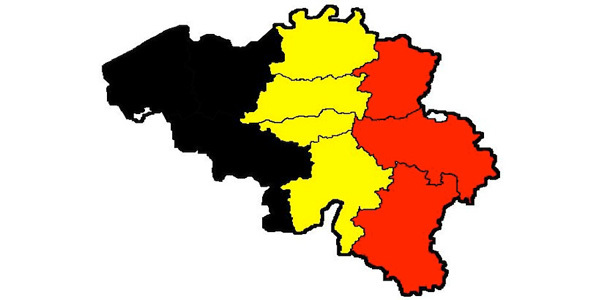 Together with our logistic partner MDI logistics, who already supplies Beeztees in Belgium, we can serve all our customers with multiple delivery days per week. Our complete range of products is available for Belgium too, including Eukanuba, Euro Premium, Beaphar, Delin Nature, Whiskas, Supreme, Biokat’s, Almo, GimDog, Fokker, Chipsy and Hill’s. View all the brands in our product range here. Peter van Ongeval is our representative on the Belgian market and freely advises about our services and collaboration possibilities. We will show you who we are at the ‘Anido’ trade fair for the Pet Care industry in the Benelux and northern France late February 2016 and we would like to offer you the possibility to get to know us.